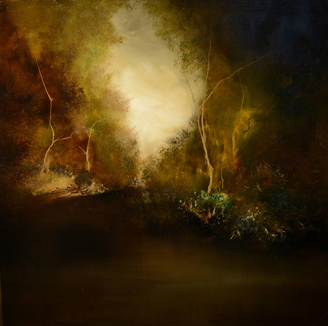 This original artwork is a 2015 oil on oil on canvas and depicts landscape, autumn and nature. 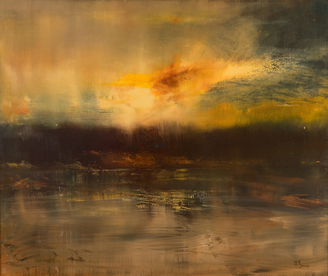 The size of this art painting original is 30 x 24 in. 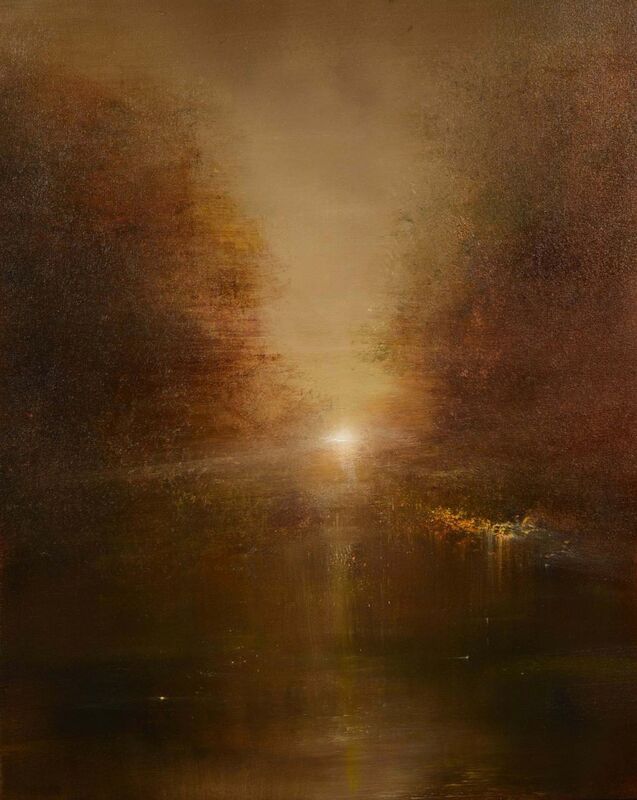 An Old Fashion Sunset by Maurice Sapiro is a nostalgic portrayal of a ghostly sun set as it sets in the distance in a tree lined path. 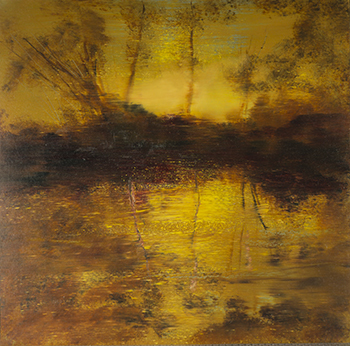 This painting features earth tones of brown, rust and forest green.